GR Engineering was appointed by Broken Hill Operations Pty Ltd to undertake the engineering, design, procurement, construction and commissioning of the Rasp Mine zinc and lead Concentrator. 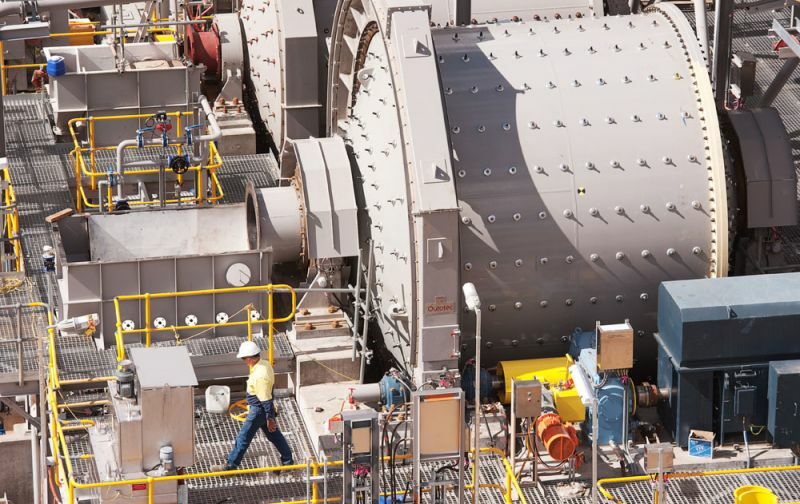 The Zinc/Lead concentrating plant was designed for a throughput of 750,000 tonne per and will treat underground ore mined from the Rasp Mine located in the centre of the Broken Hill town. The concentrator site is located on the original mining first lease first operated by Broken Hill Mining Pty Ltd (BHP) in 1885. The design of the project was completed by GRES using the Perth design team who utilising the Solid Edge 3D drafting package. The processing route was developed by Bill Gosling and Peter Allen who both have previous operational experience with lead and zinc concentrators at both Broken Hill and Cobar Mine Sites in NSW. The load out of the concentrate will use an innovated conveyor loading process whereby lead and zinc concentrate will be loaded directly into containers on discharge from the filters. 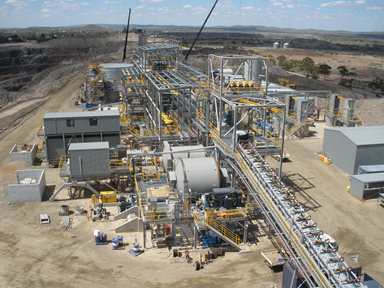 The concentrator plant includes single stage crushing, with conveyors that deliver the ore to a coarse ore bin. Coarse ore is ground in a two stage grinding circuit that comprises a SAG mill and a ball mill. The ore/slurry from the grinding circuit is classified via the mill cyclones and the cyclone overflow undergoes flotation to produce separate lead and zinc concentrates. Lead and zinc concentrates produced in flotation are thickened in high rate thickeners. The thickened concentrates are pumped to dedicated concentrate storage tanks prior to filtration via separate filter presses. Filtered concentrate is loaded into containers for shipment off site via rail. Final tailings can be disposed either into a tailings storage facility or be pumped underground via a borehole and underground distribution system. The construction work was performed between the period April 2011 to April 2012 and involved bulk earthworks preparation took approximately three months to complete due to a requirement to perform extensive excavation to re-contour the site and stabilise the ground to support the concentrator structures. The civil works campaign involved the installation of 2000 cubic metres of concrete foundations and process slabs for the concentrator site. At the peak of construction GRES had over 120 construction personnel working on the Rasp Mine site involved in structural, mechanical, piping and electrical installation work. GRES personnel have stood over 450 tonnes of structural steel along with the installation of over 500 individual pieces of processing equipment. The mechanical installation work will include installation of four mills, twenty eight Outotec flotation cells, three thickeners and two Ishigaki concentrate filter presses. The electrical and piping work will involve installation of over 21 kilometres of piping and 35 kilometres of electrical cable within the concentrator plant. The construction works have passed 230,000 man hours without a lost time injury and were completed on schedule by April 2012.